Today was a pretty frustrating day and I didn’t want to let that negativity fester so I thought I’d share my favorite tip for quickly filing information to Evernote. First, I have to say that I love Evernote! 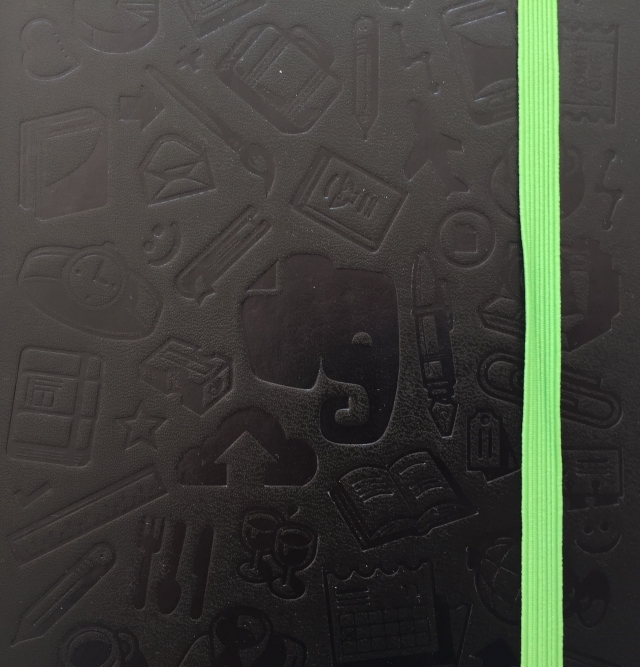 In fact, I wrote an article about why I like to write in Evernote. And, if you are looking for a scanner for your phone, you have to check out their new Scannable app. It’s an amazing way to create digital from paper. Finally, if you enjoy Evernote, I’d encourage you to sign up for a premium account for $5 per month. Even if you don’t necessarily need the premium features, I believe it’s important to pay for software and services that you use. Don’t be a freeloader! Your $5 per month doesn’t guarantee that they’ll stay in business forever, but it doesn’t hurt. In 2009 I scrapped the physical filing cabinet - by the way, I’ve got a lot of extra manilla folders if anyone needs them - and started putting everything related to my business into Evernote. At the time, my primary method for adding data was scanning to PDF and attaching to a new note. Then, I discovered that you could email documents to Evernote. That was a revelation! Email is now my primary method for getting documents into my Evernote account. The bulk of my data (more than half of my notes) is receipts related to my business. Most of those receipts are from online orders. As you are no doubt familiar, online orders generate an email of the order which I then forward to my Evernote account using the handy personal email address that is provided with every Evernote account. The address look like this: [username].12345@m.evernote.com. I added mine to my address book under the title Forward to Evernote. This allows me to simply type, Forward to Evernote in the address TO field and hit send and the message goes directly to my Evernote account with the subject of the email becoming the title of the note. A new car! Just kidding. It was a snow day today and I watched the Price is Right with my kids so that was fresh in my head. But, there is more. By default, the email is filed in your default folder in Evernote. You can file the email directly to whichever folder you prefer simply by placing the name of the folder, for example @business, in the subject line of the email after the original subject. Additionally, you can add tags to your new note simply by adding the name of the tag after the # sign. You can read all about this filing via the @ sign and adding tags using the # sign here, Emailing Into Evernote Just Got Better. This one tip has saved me a lot of time. I used to save out my email receipts as PDFs and then attach them to a note via the Evernote app. I can’t imagine having to do that now. I hope you find this as useful as I have. Have a favorite Evernote tip? Let me know about it, I’d love to hear it.